Looking for an inspiring and modern suburban home? 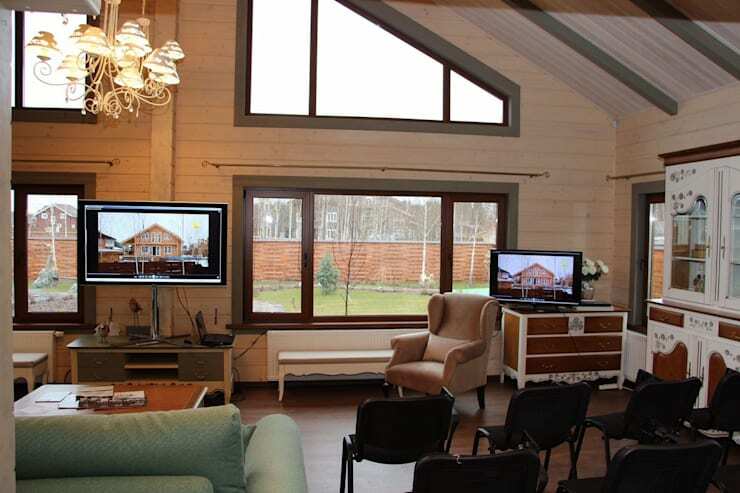 Today, we're visiting a Show Home in Russia with charming rustic interiors. Everyday life here in this home designed by the architects at Open Village will make you feel relaxed and recharged. This home features a spacious outdoor terrace with a Japanese Ofuro bath. 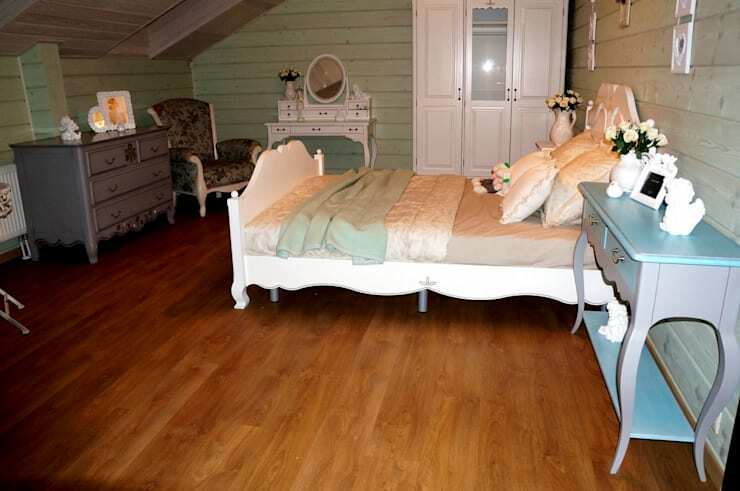 Inside, we’ll find charming country bedrooms and retro-inspired furnishings. We’ll pay special attention to the massive yard and detailed landscaping in the home. Ready to take the full tour? Let’s start outside! The main and most massive advantage of a suburban house is the potential for gardening and landscaping. 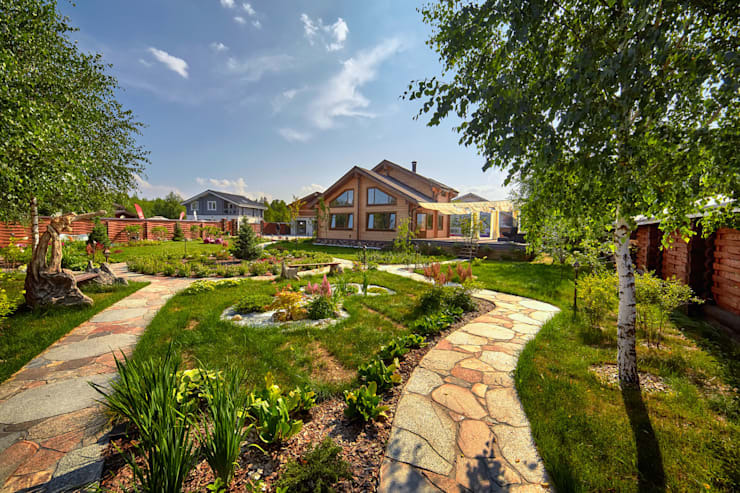 This home has a charming yard with a rustic stone path cutting through the grass. As an added bonus, there are ornate wood benches along the path, making this yard feel more like a public park! This yard space is ideal for entertaining and there’s lots of room for kids to play. 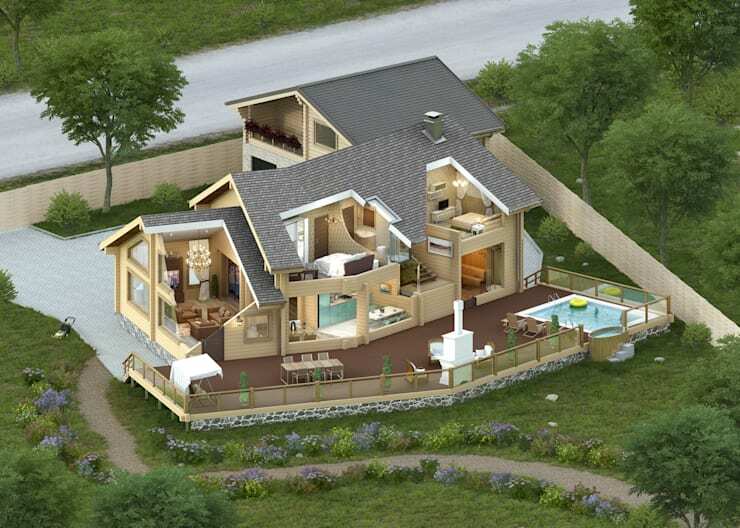 Take a look at the specifics of the house. There’s a massive outdoor terrace space with a small pool, Japanese Ofuro bath, and fireplace. 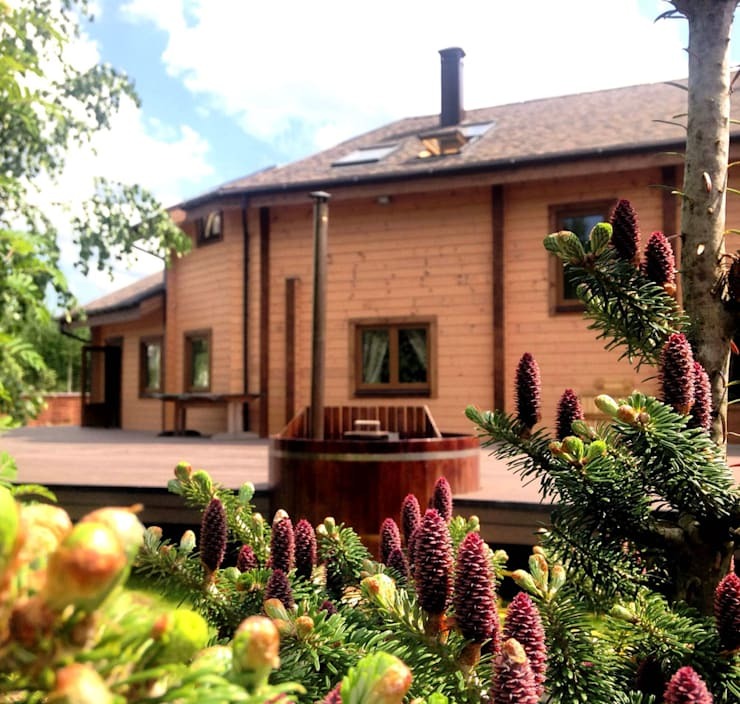 In the summer months, the whole family will be outside enjoying the terrace long after the sun sets. You can glimpse inside the home, too, to see the features of the main floor and a couple of upstairs bedrooms. This detailed shot of the plants and foliage show off the possibilities of landscaping at this suburban home. In the back, we can make out the home’s plain wood exterior and square cut windows. The simplicity of the home means that it’s easy to maintain and build. It has the essence of a quality cabin built into a larger suburban house. 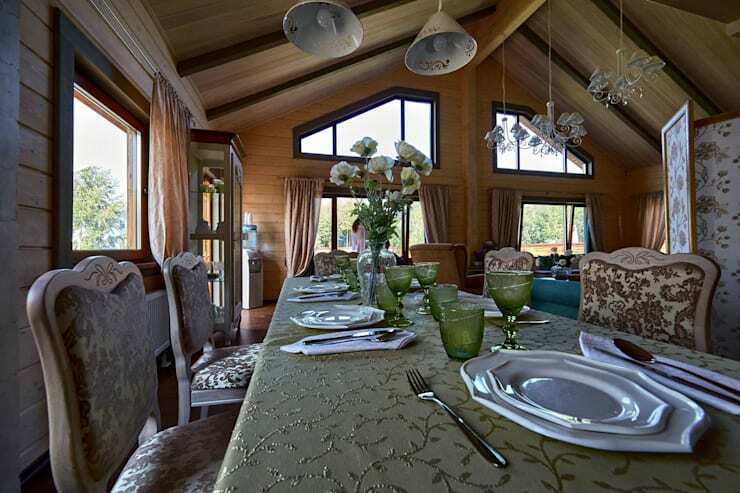 A double height ceiling over this open plan main floor creates a dining room that feels homey and spacious. The home shows off its elegant architecture with its exposed wood beam ceiling. Curtains and upholstered furniture fill the room with comfortable and soft textiles. Whimsical floral patterns bring country charm to this dining space. While the living room is set up for a presentation, you can see the basics in this photo. Large windows show off the fenced yard outside and bring plenty of light inside the home. Detailed, darling furniture make this cute bedroom perfect for kids or for guests. A wardrobe and vanity make up for the lack of a closet in a charming nod to an older style of home design. 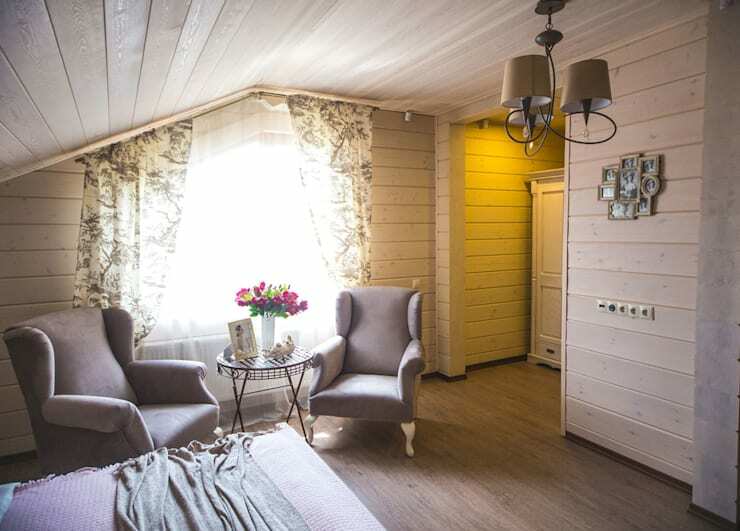 Inside, exposed wood ceilings and walls wrap the rooms with country charm. This simple and elegant bedroom is a cozy spot to recharge and relax. We hope you enjoyed our look at this suburban home with a country rustic twist! It’s meant to relax and recharge you and the whole family. We’re ending our tour in the yard where we started. The fence looks like wood woven together. 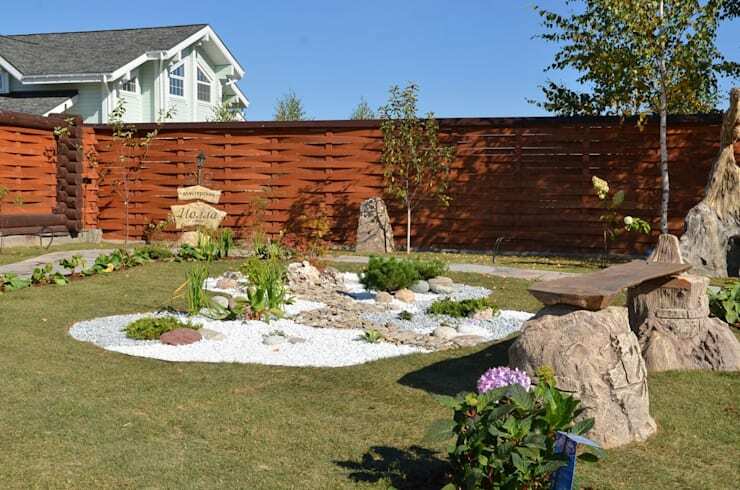 A garden reminiscent of a Japanese zen rock and sand garden creates a calming place to hang out and relax. Next, check out our feature on a renovated house that uses solar panels for its energy! Do you prefer a home in the city or suburbs?